Photo by Dominic Bugatto, from the Torontoist Flickr pool. Thanks to the bitter cold and to the fact that the TTC’s aging streetcar fleet does not cope well with the bitter cold, it’s time again for another streetcar cold-weather casualty update: 28 streetcars will be sidelined during rush hour today because, explains TTC spokesperson Brad Ross, they’re “just too old to make it out the door.” Slightly sprightlier buses will be taking the place of streetcars on the 511 Bathurst, 502 Downtowner, and 503 Kingston Road routes. Lovers of local music, heritage, and the Silver Dollar Room, rejoice! 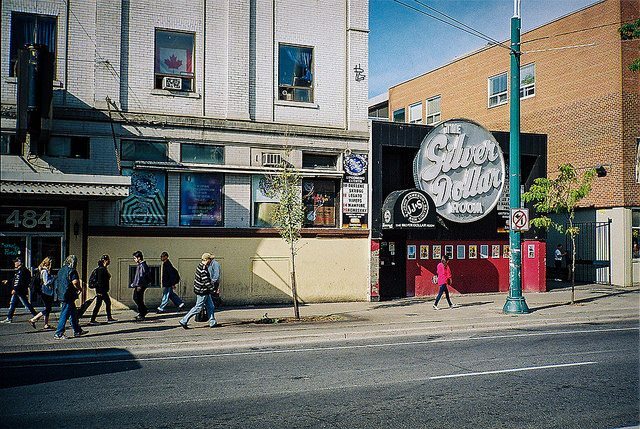 The City has designated 484 Spadina Avenue—home to the storied venue—as being “of cultural heritage value or interest.” Heritage designation doesn’t mean the building is guaranteed to sidestep the wrecking ball, but it does make the structure’s continued survival more likely. If you’ve been (a) looking for a position as an office assistant, or (b) looking for an opportunity to work for Councillor Rob Ford, you’re in luck: he’s currently searching for a new office assistant. If the Twitter response is any indication, it’s possible he’ll be receiving some applications that are not entirely serious and on the level.